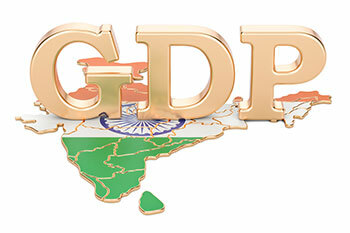 GDP growth for 2019-20 is projected at 7.4%– in the range of 7.2-7.4% in H1, and 7.5% in Q3 – with risks evenly balanced, the RBI said. Turning to the growth outlook, RBI has projected the GDP growth for 2018-19 in the December policy at 7.4% (7.2-7.3% in H2) and at 7.5% for H1FY20, with risks somewhat to the downside. The CSO has estimated GDP growth at 7.2% for 2018-19. Looking beyond the current year, the growth outlook is likely to be influenced by the following factors. First, aggregate bank credit and overall financial flows to the commercial sector continue to be strong but are yet to be broad-based. Secondly, in spite of soft crude oil prices and the lagged impact of the recent depreciation of the Indian rupee on net exports, slowing global demand could pose headwinds. In particular, trade tensions and associated uncertainties appear to be moderating global growth. Taking into consideration the above factors, GDP growth for 2019-20 is projected at 7.4% – in the range of 7.2-7.4% in H1 and 7.5% in Q3 – with risks evenly balanced. The Reserve Bank of India has cut the repo rate by 25bps in its sixth bi-monthly monetary policy statement for 2018-19. The MPC is headed by RBI Governor Shaktikanta Das. In its last bi-monthly monetary policy, the bank had kept the repo rate unchanged at 6.5% and the reverse repo rate at 6.25%. The six-member monetary policy committee voted 4:2 in favor of the rate cut, while the decision to change the policy stance was unanimous.